For a medical procedure that is 100% legal, there sure are a lot of obstacles standing between Canadian women and their reproductive rights. The latest flashpoint in the struggle to maintain reproductive service centres is the closure of the one and only abortion clinic in New Brunswick. Its shuttering is still in question after an online crowdfunding effort hit its $100,000 goal to keep Fredericton’s Morgentaler clinic open, but a lease agreement has yet to be signed. But while fundraising enough to save the clinic is a big victory, New Brunswick women still face many challenges. Theirs is the only Canadian province that doesn’t fund the procedure at private clinics under medicare, which has an out-of-pocket price that can range between $700 – $800. The other option is to have the procedure done at a hospital, but in order to do so women need to first seek and gain approval from two separate doctors. 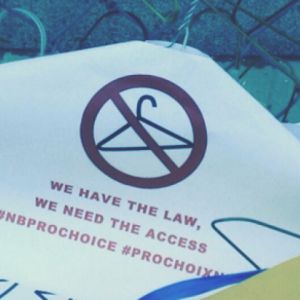 But the ongoing struggle for access to reproductive services isn’t just a New Brunswick problem. It’s a Canada-wide one. The problem is most apparent in rural Canada. 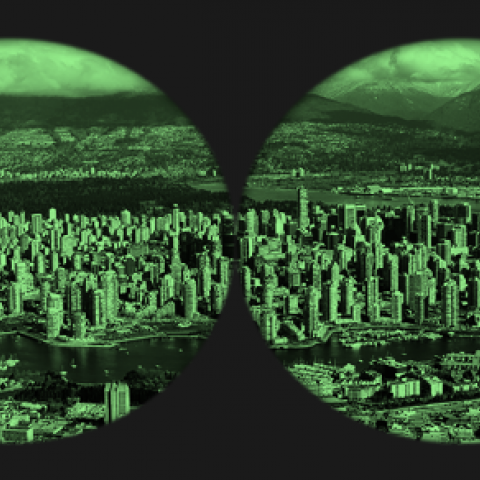 If a woman lives in rural or remote communities far away from urban centres where, apart from a scarcity of specialists and other logistical issues, many rural providers identify a need to “fly under the radar” in their small communities. In some extreme instances, women have had to travel 26 hours by bus to receive services to which they are legally entitled. What’s more, abortions are excluded from the services covered by the inter-provincial billing agreement. In practical terms, that means if you are going to school out-of-province or if you have recently moved, you are faced with a decision of incurring the costs of travelling back to your home province or paying for the procedure out-of-pocket. Canada has 69 dedicated abortion clinics. However, 46 of those are in Quebec, leaving only 23 clinics between Canada’s remaining 12 provinces and territories. 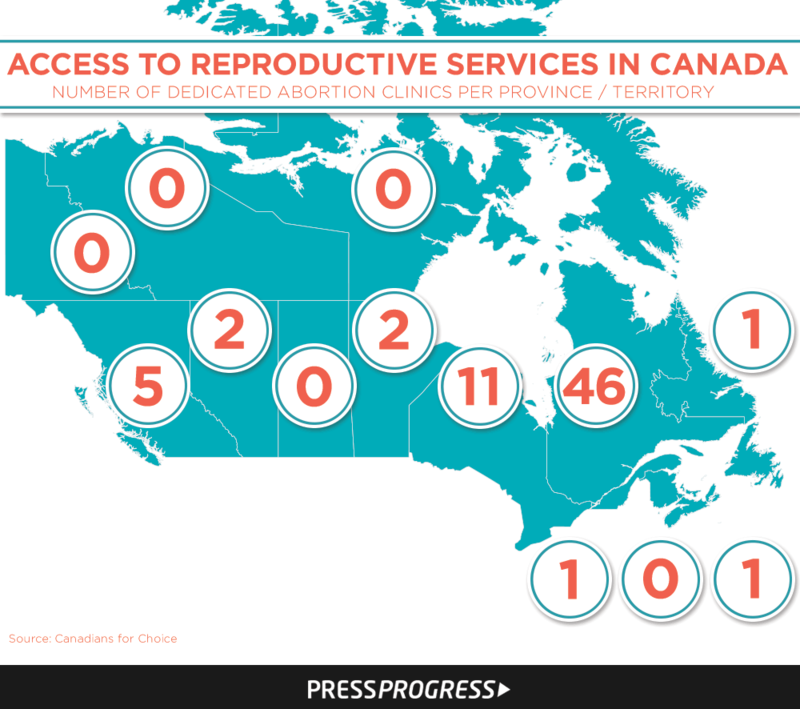 Five provinces/territories have no abortion clinics; another three provinces have only one. Prince Edward Island offers no abortion services whatsoever. In order to get procedures covered out-of-province, women must be referred by a doctor. A University of P.E.I. study has described P.E.I.’s abortion policy as “a complex dynamic set of barriers” and “a maze of interlocking trails which compromised women’s health.” The P.E.I. government recently kiboshed a proposal to offer abortion services in a local P.E.I. hospital. Three major Canadian cities (Ottawa, Calgary and Edmonton) with metro populations over one million are each served by a single abortion clinic. Newfoundland is served by one abortion clinic in St. John’s; there are no abortion services available in Labrador. Six provinces require parental consent under varying circumstances, while four leave the decision up to doctors. Three have no age requirements regarding minors. Half of Canadian provinces restrict abortions to the first trimester. British Columbia is the only province in Canada that has legislated “bubble zones” around clinics, hospitals and the homes of doctors to prevent harassment and intimidation from anti-choice protesters.